Itou Kaiji is a bum who steals car emblems and slashes tires on what seems to be a regular basis. This routine changes one day when he is paid a visit by a man in a trench-coat. Once the two get talking, it seems that the visitor (Calling himself Endou) is a debt collector. The reason for his visit is an unpaid loan which Kaiji had previously co-signed for a work-mate (Furuhata Takeshi). 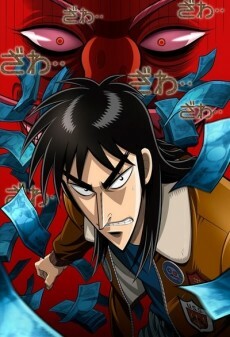 The original loan was 300,000 yen and once Takeshi had disappeared, the loan then fell on Kaiji.